We believe that every website has a mission. Our aim is to understand yours and build you a website that sees you obtain it. At Realise4 our web designers, online marketers, copywriters, developers and online marketing strategists are all passionate about building great websites. Since 2004 we’ve been putting together outstanding websites for business right across Ireland. Our diverse team has the common goal of building highly effective websites which achieve real results for our clients in ireland. Our web design dublin team has years of design experience and has built many successful websites. 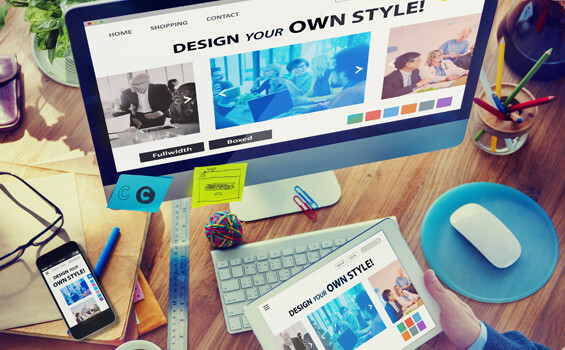 The design of your website says a lot about you and has a significant impact on how people use your site. Our designers and strategists are experts in understanding why website visitors behave as they do. They apply this expertise in making sure that website visitors behave in a way that makes our clients’ web design a success. A successful website is developed through effective processes to ensure great outcomes. Each website we build is first prototyped as a working mock-up (without the design) to ensure it will achieve its mission. We know our clients need a website that allows them to control their own content as things change. That’s why every one of the websites we build uses a state of the art Content Management System such as Wordpress, Joomla and Modx, with core features built for the Irish business environment. We can keep telling you how good we are at web design, but we’d much prefer it if you instead had a look at our recent work.